Didn’t get a chance to attend the EB Games Expo this year? 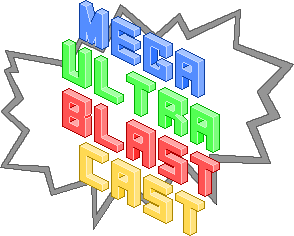 You’re in luck, because after a long hiatus the Mega Ultra Blast Cast returns with a bumper episode to smash through the best and worst games from the show, before we talk Smash Bros, discuss the future of Destiny, give away a full Steam game and catch up on the biggest news stories of the last month. It’s 100 minutes of Delaney-isms, hard-hitting criticism, nonsense and Pringle crunching – It’s Episode 30, only on Soundcloud! If you feel so inclined, go for a run, take a scenic drive, jazz up your afternoon commute or just curl up on the couch and play some games while you listen to the opinions of three Smash Bros-addicted Sydneysiders.